The Kalachakra Path is the most extensive and comprehensive system for achieving direct and clear realisations of Buddha-nature. To help gain the most from your spiritual practice, Khentrul Rinpoché has compiled a number of guidelines for his students to follow when practicing this extraordinary path. The first step to setting out on any journey is to establish where you are and where you would like to go, and a spiritual journey is no exception. As we all come to the path at different stages of spiritual development, in the beginning it is important to conduct an evaluation of your present conditions. By answering the following questions, you can establish clarity regarding where to focus your time and energy. 1. What is your attitude towards practice? The Superior Attitude: You have a completely natural and unshakeable conviction to achieve Buddhahood within this life or the next. On the basis of this mind, you have no doubt that the Kalachakra Tantra is the most authentic, direct and complete path to achieving this goal. Consequently, you have no hesitation in making the practice of Kalachakra the main priority in your life. With incredible respect and devotion towards these teachings, you also have no doubt that Khentrul Rinpoche is the most effective Kalachakra teacher for you personally and therefore, holding him as your root teacher, you are completely dedicated to following his advice. Even with this steadfast attitude, the dedication of at least 200 hours of formal study and meditation to the Kalachakra common and uncommon preliminaries is needed in order to ripen the specific seeds necessary for the achievement of realisations on the path. The Excellent Attitude: You have unwavering faith in the Jonang Lineage and no doubt in the qualities of Khentrul Rinpoche as your spiritual master. This attitude is built on a very stable, naturally arising intuition that assures you of the authenticity of this path. Even though you may not feel you have the conditions to accomplish your goal in this life, you are willing to dedicate yourself to practice as much as possible, to the best of your abilities, in accordance with the lineage. This attitude is very similar to the superior attitude, the only difference being you have some doubt regarding your capacity to achieve the result. With this attitude, at least 400 hours should be dedicated to the preliminaries. The Very Good Attitude: You have no doubt in the Kalachakra Path and a naturally arising faith in the authenticity of Khentrul Rinpoche as a Kalachakra master. Although you may harbour some doubt as to whether he is the most effective teacher for you, you have enormous respect for his lifelong dedication to organising and communicating the Kalachakra Teachings which enable practitioners from all over the world to make strong connections to the wisdom of Shambhala. You recognise the importance of this work and you naturally develop a strong determination to practice his teachings as well as helping him to realise his goals. On the basis of such an attitude, you should spend at least 400 – 600 hours on the preliminary practices. The Good Attitude: You have strong faith in the Vajrayana Path as presented by the various traditions of Tibetan Buddhism, demonstrated by your practice of the common preliminaries in accordance with one of these traditions. While you may currently feel a particular affinity towards Kalachakra, you view all systems as much the same and do not hold Kalachakra as the best for you. With this type of attitude, working with the preliminaries is necessary to increase your faith in the Kalachakra teachings, its lineage and Khentrul Rinpoche as your teacher. The time needed to do this however, will depend on how much work you have previously done. If you have already completed a full sequence of preliminaries in another system, 400 hours should be sufficient to establish this connection in your mindstream. Otherwise, you may need to dedicate anywhere from 500 – 800 hours. The Basic Attitude: You have a general faith in Buddhism and a desire to familiarise yourself with the foundational teachings, thereby establishing the necessary understanding and confidence to adopt one of the higher attitudes described above. This transformation will usually occur over the course of approximately 800 or more hours of study and practice. During this time, the focus should be on strengthening your faith in the Kalachakra Path and understanding its approach as best you can. There is no single way of following the path and no situation is black and white where we must do the ultimate or nothing at all. We instead need to be realistic and try our best within the conditions we find ourselves, while always aspiring to improve our attitude as much as possible. The higher our attitude, the more benefit we can draw from these teachings, and the less time required to spend on the common and uncommon preliminaries. 2. What approach suits your present lifestyle? The Superior Approach: You are dedicated to intensive formal meditation practice and study, allowing yourself to experience every part of the traditional commentaries. Through your study, you gain a detailed understanding of the teachings, giving you the ability to apply the wisdom of the lineage into every aspect of your life in order to achieve significant and rapid personal transformation. This approach is suitable for those capable of living a monastic lifestyle. The Excellent Approach: You tend to focus more on informal practice with an emphasis on applying the teachings into your daily life. You make it a priority to read all of Khentrul Rinpoché’s books and work hard to attain a very solid understanding of the meaning of the teachings and the essential purpose behind them. This knowledge allows you to skilfully adapt your practice to whatever situation you find yourself. This approach is suitable for those currently living in the engaged lifestyle of a householder. The Good Approach: While you may have less understanding of the teachings, you have great faith in the Kalachakra Path. For this reason, you engage in the gradual accumulation of preliminary practices such as prostrations and making offerings as a method to purify your mind and ripen your virtuous karma. This approach is suited for householders to whom devotion comes easily. The Basic Approach: Although you may not necessarily understand what you are doing, you make the effort to study what you receive and occasionally attempt the various practices. This approach will only lead to minimal transformation, but it will create the karmic connections for you to reconnect with the lineage in the future. It is suitable for householders whose primary focus is on worldly activities. As we each have different karmic conditions, it is important to be honest with ourselves and select an approach that fits with our present lifestyle. Over time, as the Dharma becomes more established in our mind, we can re-evaluate our approach as our priorities shift. Avoid setting unrealistic expectations that only serve to discourage and limit the effectiveness of your practice. While our goal should be to take a superior approach, we shouldn’t feel bad if this is not the way we can presently practice. With hard work and determination, there is no reason why you cannot one day actualise your aspiration. 3. What is your current stage on the path? With a firm foundation of renunciation, bodhicitta and a clear understanding of emptiness, you will now be ready to engage with the practices of Buddhist Tantra. Entry to tantric practice is through the empowerment ceremony known as the “Seven Empowerments of a Growing Child”. If you have been practicing the common preliminaries for some time and would like to progress to the uncommon preliminaries of Kalachakra, you should seek an opportunity to receive these necessary empowerments. Through the Kalachakra Generation Stage, you will purify the mind, subdue the inner winds and strengthen your capacity to achieve the realisation of your ultimate nature. However, due to the conceptual nature of that stage, eventually you will need to go beyond those methods through the practice of tantric yoga. In order to receive instructions in these profound practices, you must receive the Four Higher Empowerments. 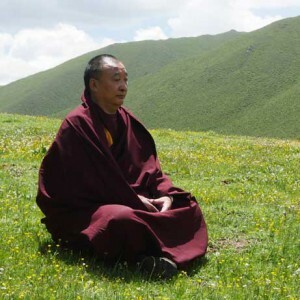 Due to the importance of a pure and unwavering connection with the Vajra Master, you should only receive these empowerments from a teacher in whose ability to guide you toward enlightenment, you have complete faith in. At this stage, there can be no doubt regarding the Kalachakra Path as your primary path and Khentrul Rinpoché as your primary teacher. Failure to take this commitment seriously will cause major obstacles to arise in your path and will reduce Rinpoché’s capacity to help sentient beings. For this reason, practitioners must be sincere and aware of what they are doing. At this level, your focus shifts to following the pith instructions received from your teacher. Beginning with the Three Isolations, as you attain accomplishments in this practice, Rinpoché will introduce the first of the Six Vajra Yogas. In this way, Rinpoché will slowly introduce each step, ensuring that you have established the desired realisations. While practice is primary, associated writings of the lineage masters can also be studied. In the beginning it is generally better to orient yourself to the path by emphasising study over meditative practice. With clarity regarding what you need to do and why, you can slowly transition towards an emphasis on practice. That being said, it is always important to maintain a balance between the two. If you spend the majority of your time studying and reflecting, meditation should be used to sharpen your mind and develop greater mental stability. Likewise, if more of your time is spent in formal meditation, effort should be made to acquire new information in order to enrich your practice and help you penetrate to deeper insights. As you work through Rinpoché’s books, you can stay informed about Khentrul Rinpoche’s scheduled activities by referring to this website or his Facebook page. It is highly recommended to pay particular attention to opportunities for receiving the Kalachakra empowerments. 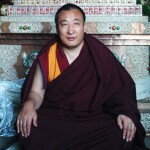 Even if you have taken them before with Rinpoche or another teacher, it is always worth receiving them repeatedly as this allows you to renew your vows and to strengthen your connection with the teachings. These events are also wonderful opportunities to ask questions and to clarify your understanding from a truly qualified and authentic lineage master. If no events are scheduled in your region, you can take the initiative to organise teaching events for Rinpoche. By contacting us through this website, you can request for Rinpoche to give teachings or empowerments in your city or town. By attending these teachings, you can meet other people who are interested in practicing Kalachakra and together form a practice group. In this way, a community is developed, providing you with the spiritual support you need to progress along the path. 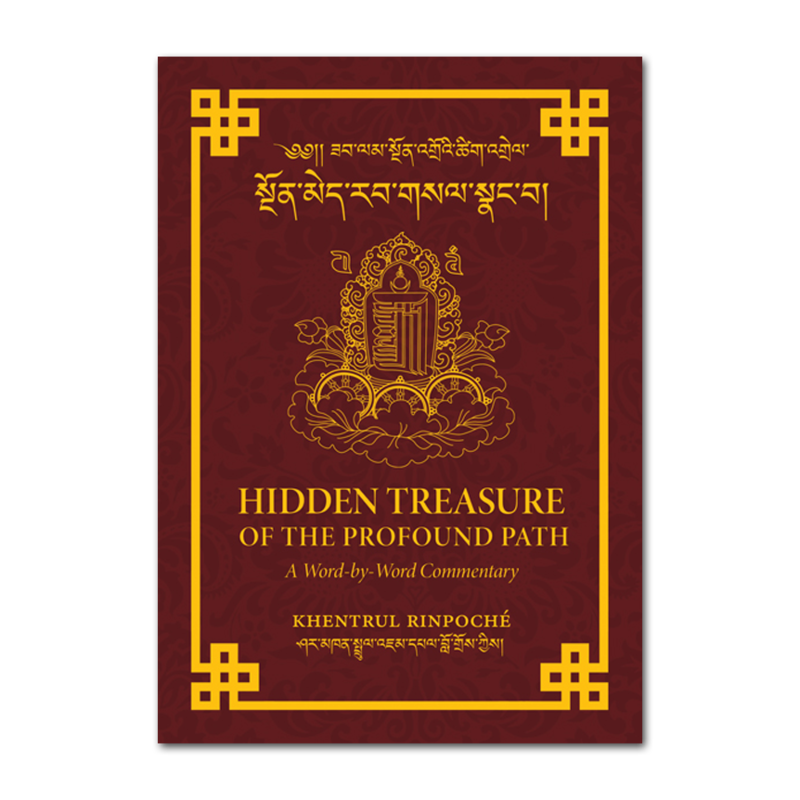 Find a word-by-word explanation of how to practice the Kalachakra Path in Khentrul Rinpoché’s “Hidden Treasure of the Profound Path”.